SFMTA Photographer Jeremy Menzies, and Photo Archives Aide Katy Guyon collaborated on this project. Christina Moretta is Photo Curator at the San Francisco History Center, San Francisco Public Library. Tom & Jean Moulin- Moulin Studios is a historical archival-quality photography studio. Began in 1909 by Gabriel Moulin (1872-1945) Moulin Studio’s distinct images and techniques have been preserved through three generations of Moulin career photographers– Irving Moulin (son), Raymond Moulin (son) and Tom Moulin (grandson and current owner). A hundred years later and Moulin Studios has transformed into a one-of-a-kind stock photography studio. Imagine walking through the entrance gates on the night of the opening of the Panama – Pacific 1915 World’s Fair in San Francisco, the sun has just left the sky and the night lights are burning at the fair… and remembering the devastation, which was just nine years to the 1906 San Francisco earthquake, and one would be awestruck, standing and taking in the beauty of the sights and sounds, majestically laid out within 635 acres in the Marina district. One was surrounded by thousands of other fellow fair goers moving about, as over 19M visitors came from all over the USA and the world to witness this incredible event. It had to be like living a sublime dream to have been a part of this experience. This exhibit was curated to showcase the full arc of the once quiet neighborhood with humble homes, and were sold off for $20.00-$30.00 per house, prior to being demolished, and then this fantastic vision took form. These neighborhoods vanished, and rails and buildings took shape, from all areas of the world, showcasing numerous pavilions and jaw dropping venues. The exhibit also shows the empty lots and spaces which once housed the Glorious spectacle made of wood and plaster and electric lights. If one takes a moment you can almost hear the trolleys and clanging and people bustling about dressed in their Sunday best, excited to take in this bigger than life spectacle. It is a testament to the talented visionaries, designers & engineers, and SFMTA, who were able to get the rail lines in, and were able to transport 19M people in and out of the venue! As well as the thousands of laborers, who made this fantasy world, come to life for a brief time… And a huge thank you to the photographer’s who captured this for us, within these treasured photograph’s, which are jewels in time…. so we can also participate in some remote way experience this magical place! We wish to extend our sincere thanks for the gracious use of these images used in this exhibit, from San Francisco Municipal Transport Agency, The San Francisco Public Library, The Daniel E. Koshland San Francisco History Center, and Moulin Studios. *Please note all images are copyrighted and cannot be used without permission. The SFMTA Photo Dept. & Archive holds over 100,000 prints, negatives, and digital images depicting transportation on the streets of San Francisco from 1903 to present day. The historic collections include negatives on glass of San Francisco’s earliest streetcars and pre-1906 Earthquake network of cable cars, as well as large format film documentation of the development of America’s first publicly operated transportation network—the San Francisco Municipal Railway, or Muni—starting in 1912. Images contributed from the SFMTA collections were selected from the work of John Henry Mentz, the company photographer for the private, for-profit transit company United Railroads / Market Street Railway, and from San Francisco Board of Public Works photographer Horace Chaffee. They are from 6.5 x 8.5″ and 5 x 7″ glass plate negatives, which have been scanned and printed digitally. Current SFMTA Photographer Jeremy Menzies and Photo Archives Aide Katy Guyon collaborated on this project. Jeremy has a Bachelor of Fine Arts working in analog motion picture and still photography and has worked in various media archives with traditional photographic and film materials. Katy is an Academy Certified Archivist with a background in cultural heritage and preservation. SFMTA Photo Archive online at SFMTA.com/photo, as well as on Twitter @sfmtaphoto and a Flickr photostream at SFMTA Photo Archives. Christina Moretta is Photo Curator at the San Francisco History Center, San Francisco Public Library. Notwithstanding the specificity of her job title, she wears many professional hats: that of an archivist, appraising, acquiring, arranging, and describing archival collections; that of a librarian, unraveling the mysteries of San Francisco just a bit more with each reference query; that of a rights manager, helping filmmakers, authors, and curators use and publish the visual gems of the archives; and that of a teacher, sharing the world of primary resources to students of all levels and disciplines. Her workplace serves as the official archives for the City & County of San Francisco, and its San Francisco Historical Photograph Collection has over two million visual materials items documenting San Francisco and the Bay Area. The Daniel E. Koshland San Francisco History Center contains a research collection of books, newspapers and magazines, photographs, maps, posters, archives and manuscript collections, and ephemera, documenting all aspects of San Francisco life and history. The Center is also the archives for the City and County of San Francisco. Moulin Studios is a historical archival-quality photography studio. Began in 1909 by Gabriel Moulin, (1872-1945)Moulin Studios’ distinct images and techniques have been preserved through three generations of Moulin career photographers– Irving Moulin (son), Raymond Moulin (son) and Tom Moulin (grandson and current owner). A hundred years later and Moulin Studios has transformed into a one-of-a-kind stock photography studio. 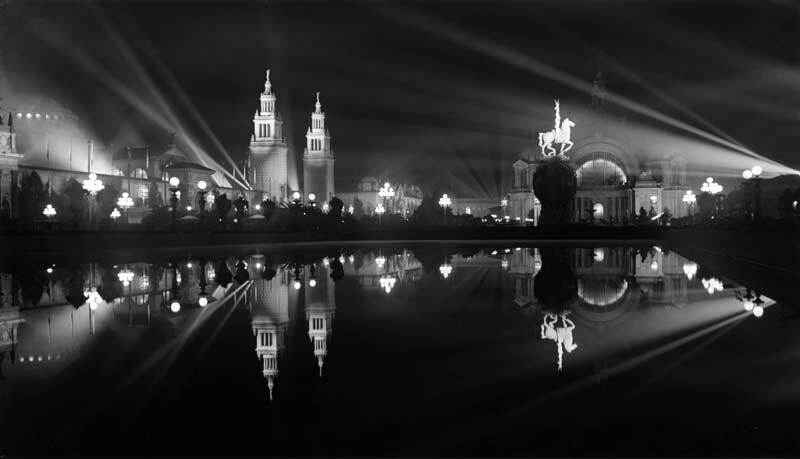 During the Panama-Pacific Exposition in 1915, Gabriel was the official photographer for the Palace of the Fine Arts. He experimented with the new Lumier color plates, and refined the process, many of the prints he made of the original art on exhibition were sold at the Palace of the Fine Arts. Harvey Milk Photo Center, Dave Christensen, Director. Celebrating 75 years, the Photo Center is the oldest and largest public darkroom in the USA, and is part of the San Francisco Recreation & Parks Department. Harvey Milk Photo Center, Dave Christensen, is the Director & Curator, which is located at Duboce Park, in the lower level of the Harvey Milk Center for the Arts building. Dave curates over 16 exhibits annually, at HMPC, as well as the McLaren Lodge located in the Golden Gate Park in San Francisco. Harvey Milk Photo Center offers a wide variety of over 250 courses annually in film and digital photography classes and workshops for all skill levels, as well as photography exhibitions, photo lectures, and a large membership-based darkroom and digital editing and state of the art printing lab. All HMPC programs are offered to the public, as classes and workshops are taught by working professionals within the industry in both fine arts and commercial photography. A scholarship program is available for anyone interested in taking classes at our center.